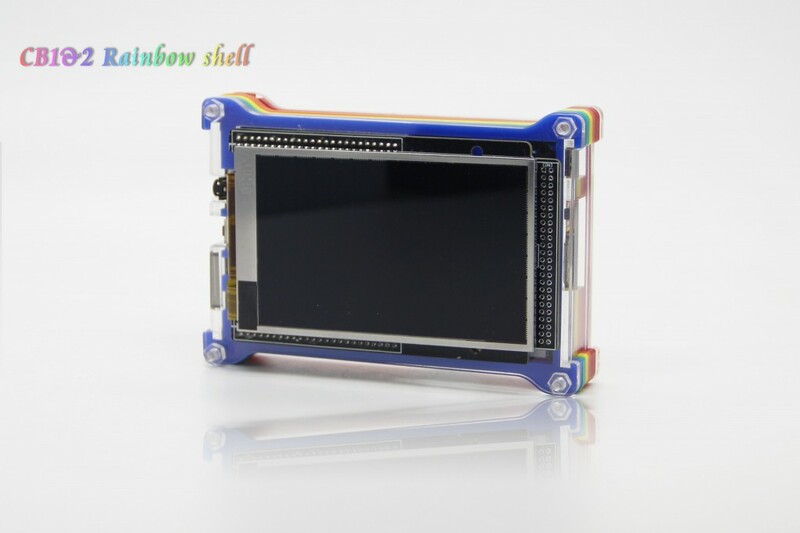 The Rainbow shell is specially designed for CubieBoard1 and CubieBoard2 which share the same PCB design. The top and bottom layers adopt transparent acrylic boards, so that the internal structure of the development board is clearly visible. The intermediate layers are stacked up with colorful acrylic boards that look like the rainbow color. 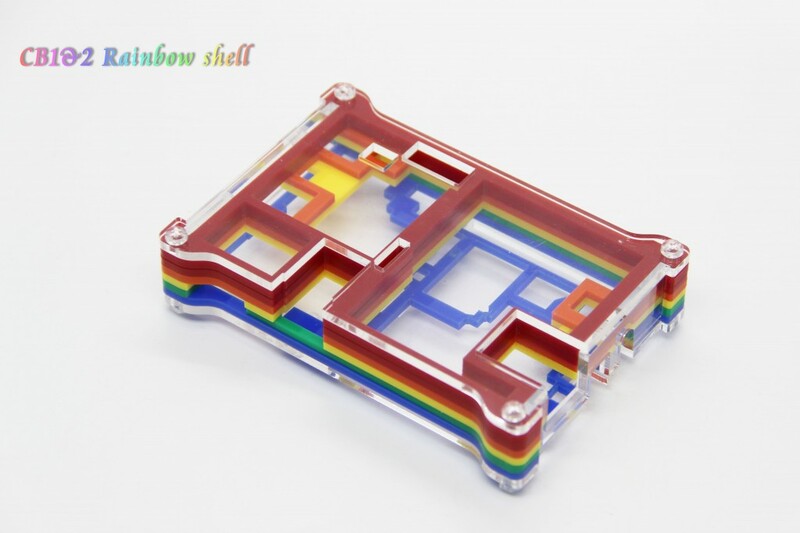 So we call it Rainbow shell. This case is mainly designed for makers and hobbyists, so it exposes all the hardware interfaces for users, such as RJ45, USB ports, HDMI, SATA ports, Micro SD card… and even the 96 pin expansion headers. As shown in the photos, it fits the 3.5 inch CubieScreen add-on board very well. You can finish the assembly without any tools. It’s very strong and durable, so we don’t worry about damage to the CubieBoard now. Please get the simple assembly guide from here, I hope you would like it.